As most people know the Romans invaded Britain in 43AD. Over the next few decades they successively moved North overcoming local tribes until around 80AD Agricola brought an Army into Scotland. Historically, this campaign is very important: unlike many Roman campaigns, we have a written record because Agricola’s Son in Law was Tacitus and Tacitus’ writings were deemed important to the early Christian Church and so were saved for future generations. So, it is not surprising that this battle site has entered the national consciousness of Scotland as the first words of a “Scottish”** nationalist. As you can imagine the whole subject has attracted no end of interest from all sorts of people and many have searched in vain for the site. Moreover this iconic site has become a minefield with a thick layer of nationalism, celtism & paganism hiding the few actual facts available. As I said, a minefield, so, you can imagine my horror when that was just the subject I was asked to write about: the archaeological evidence for Scottish identity and how can you talk about archaeology and Scottish identity without mentioning Mons Graupius? But the upshot was that my inquisitiveness was rekindled and with a wider range of sources from my archaeological course, I had another look at this iconic sight and began to make progress. And very much like an archaeological dig, first I had to remove the modern ground layer which obscured the archaeological evidence: to tease out the fact from the many speculative even romantic assertions about the site: to pin down the hard facts: known site details, tribe locations, features in the modern landscape, etc. And, having looked at potential sites and I then needed some kind of firm proof that these were the actual sites of the battle. But Scottish iron age battlefields are notoriously difficult to identify from the archaeology. Iron rusts, there are few burials in the Scottish Iron age suggesting that whatever method of disposing of bodies they used, it was not one that would leave anything for archaeologists to find. And because there are so few burials, we don’t know what weaponry was used by the Caledonians, so we don’t know what we are looking for and if e.g. there will be arrows of spears or other projectiles. Even on known archaeological sites occupied for hundreds of years, it is rare to just happen to come across finds. So the chances of coming across finds on an extended battlefield occupied for just one day in a period where even occupied sites have few artefacts seemed remote in the extreme. So the key to finding this sight had to be the temporary Roman camp that is mentioned by Tacitus. 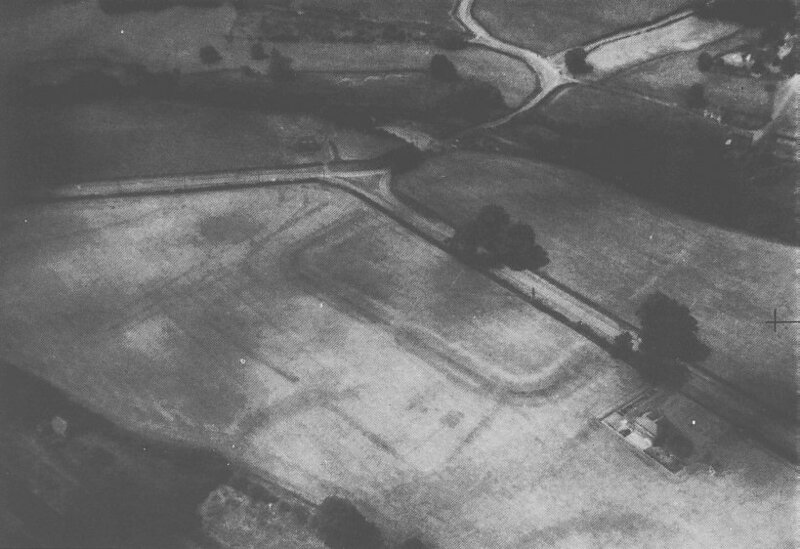 Roman camps make distinctive crop marks, so having visited my best site, I looked at the aerial photography where I expected to find a fort and what did I find? The site fits recorded details of the various tribes, it fits the description of the battle site, it fits strategically as a likely site to be chosen to defend against the Roman incursion. There are crop markings which match a fort. There are even local names which support the site as being Mons Graupius. Wow! Then the stark reality hit home. With the internet its virtually cost free to investigate a site like this, but getting hard facts means time on the ground, and even to visit the site for a few days costs hundreds of pounds from Glasgow. To carry out an extensive survey of a potential battlefield covering many square miles would take enormous amounts of money. Worse still, even what is recorded about the battle is suspect, because it may have been written up for political reasons. There is a suggestion it was a small skirmish,- even possibly a defeat for the Romans, which was then written up as a grandiose victory for Agricola who was seeking high office in Rome. Of course, only actual archaeology can tell who really won the battle and Agricola’s total obscurity after he went back to Rome does suggest that the battle may not have been the overwhelming victory suggested by Tacitus. So, even if I had identified the correct site, given the uncertainty of the record of the battle, it is quite possible one could spend a lifetime searching for conclusive proof and find none. So, the chances of raising the kind of money necessary to investigate this site seemed too remote to contemplate. Then I realised that with a majority SNP government seeking a referendum vote in a couple of years … well let’s just say there may just be a receptive ear who would welcome attention being given to this iconic site which is arguably the first call for Scottish independence. Just think about it: Modern technology allows us to see deep into the ground, we now have extensive aerial photography, we have a government seeking independence which surely cannot fail to benefit of seeking this iconic site of freedom and independence from tyranny as such a crucial point in modern Scottish history. Could there ever be a better time to find Mons Graupius? But a final note of caution, whilst I’m optimistic, there will remain reasons to be cautious for any site but particularly Mons Graupius until firm evidence is found in the ground … I am a sceptic! ** technically Calgacus was not a Scot. The Scots came later from Ireland and Scotland gained its name from their rule. if you can’t afford to excavate the site, maybe you need to give Time Team a ring and have Tony Robinson make a TV show out of it. 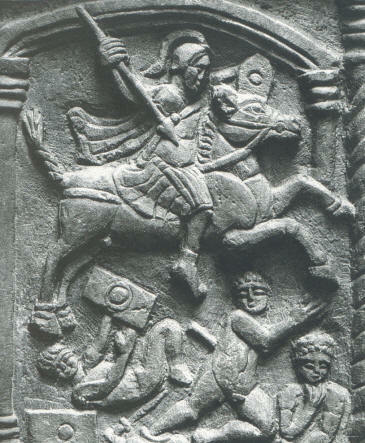 Roman invasion of Scotland by Quintus Petillius Cerialis AD 71 culminated battle of Mons Graupius Northern Scotland in AD 84 Allegedly the Caledonians were defeated so why did Roman Legions abandoned territorial gains & return to the south of the Solway Firth? Roman retreat as in ‘Romans were ‘retreated’ to North of England where they later built defences for their comfort zone later to be Hadrian’s Wall. David, I totally agree with you. The spin is of a great victory, their actions speak of a humiliating defeat. The Caledonians certainly were not subjugated, but we also have to ask whether the economic cost-benefit was there. Did the Romans want Scotland enough to waste a lot of time and effort? It’s worth remembering that Mons Graupius was not long after the Judean wars. Perhaps the Romans had had a bloody nose at one end of the empire and could not afford the cost of men, resources & political will to secure a victory in Scotland?